This recipe incorporates two of my favorite summer fruits in a delightfully sweet boozy beverage. Cherries and strawberries both contain high amounts of antioxidants and fiber! These phytonutrients, as well as small servings of ethanol (alcohol) may actually decrease your risk of heart disease. A refreshing summer sangria is the perfect addition to a grilled meal. In this creation, the blackberry brandy and fruit add enough sweetness that you can skip the added sugar that sangria often contains. 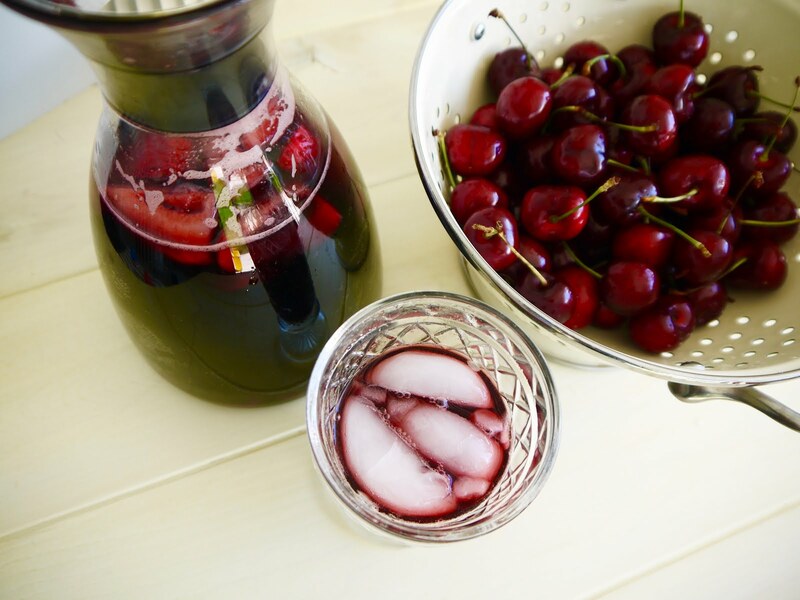 Combine all ingredients in a glass pitcher or decanter. Place in the refrigerator for 3-4 hours prior to serving. Serve over ice!